Iron is an essential mineral, which is required for the formation of haemoglobin. This carries oxygen to the tissues where it is used for the release of energy from food. Iron is also important for the metabolism of B vitamins, calcium and copper, boosts the immune system and is beneficial for the health of our hair. Helps increase levels of energy. Assists in keeping the blood healthy. Important for the health of hair and nails. Helps build resistance to infection. 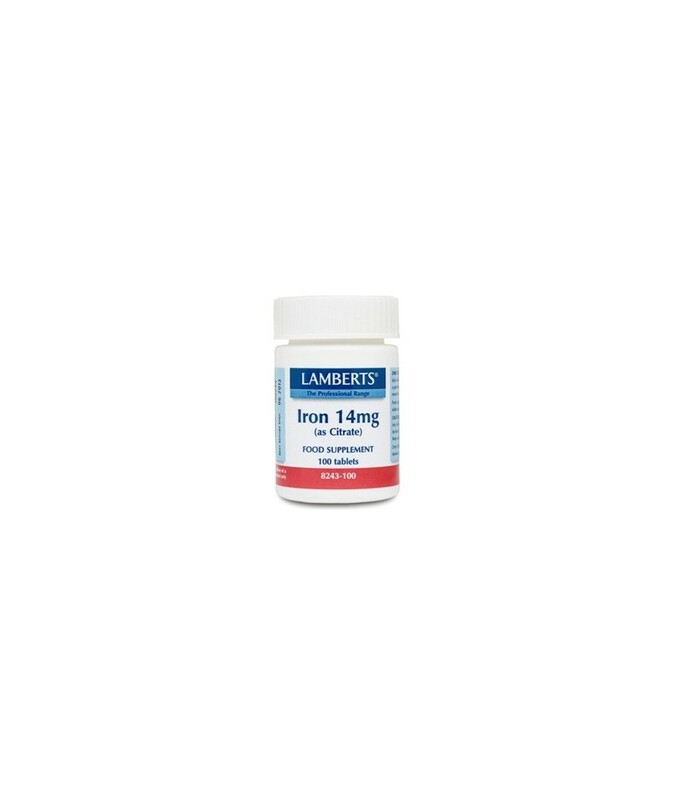 As well as keeping blood healthy, iron helps maintain resistance to infection and intellectual performance. But sometimes our diets are not well balanced and everyday activities, such as drinking tea or coffee, can inhibit iron absorption. 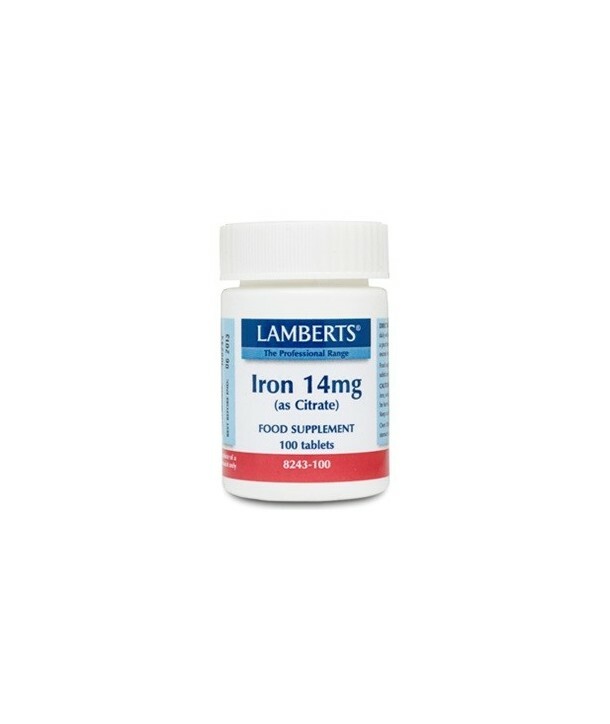 Taking an iron supplement is important for breastfeeding women, vegans and vegetarians. Muscle ache, headache, low energy, faintness, brittle nails and hair loss are all signs of iron deficiency. Dietary deficiency of iron is the most prevalent mineral deficiency in the world today according to world Health Organisation sources. All ages and both sexes are at risk, but especially women of child-bearing age. In the UK official data shows that 89% of young women have a daily intake of iron which is less than the RNI of 14.8mg. This reflects the move towards vegetarian diets and declining intakes of red meat. Consuming a diet low in iron will eventually lead to depletion of iron stores in the body, although the body will tend to maintain Hb levels at the expense of the other body systems. This product provides 14mg of iron as citrate to aid its absorption and utilisation and there have been very few reports of the constipation problems that can be caused by ferrous sulphate supplements. This is important as patient compliance is essential when supplementing with iron since replenishing depleted stores can take several months. Caution: This product contains iron, which, if taken in excess, may be harmful to very young children. Keep out of sight and reach. Caution: Over 20mg of iron may cause mild stomach upset in sensitive individuals. Ingredients per tablet: Iron (as Citrate) 14mg. Tableted with: DiCalcium Phosphate, Cellulose, Tablet Coating (Hydroxypropyl Methylcellulose, Glycerin, Stearic Acid, Silicon Dioxide, Magnesium Stearate.